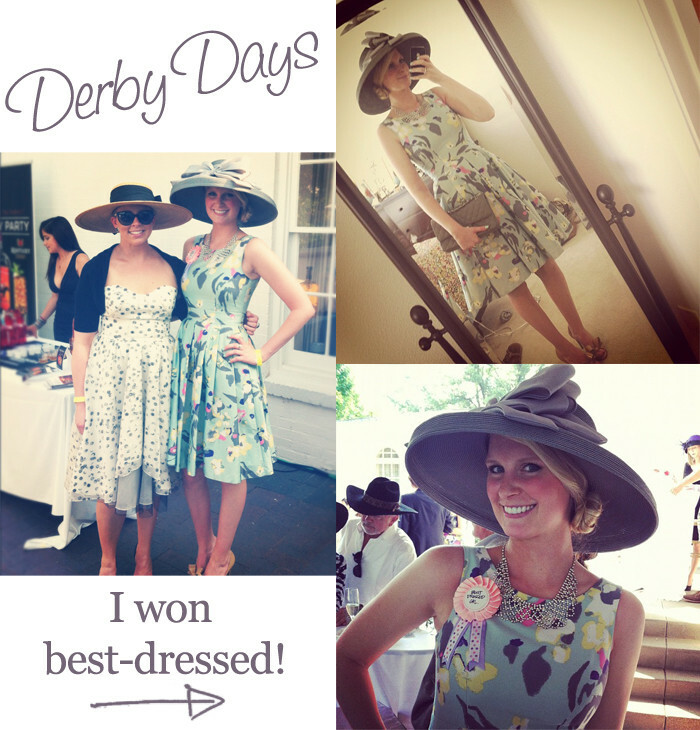 This weekend I was invited to attend a Derby party at the Robert E. Lee park in Dallas and had a blast! I love all opportunities to dress up that don’t include Halloween. I don’t own any hats, so my sister and I hit up Neiman Marcus and found this gem to match perfectly with my H&M dress and Chanel bag. Apparently I wasn’t the only one pleased with my ensemble, because somehow I was awarded Best-Dressed Girl at the party!